After sun dancing all week in the hopes of a dry hot day today so we could make the most of our first day off together in ages with nothing to do, I find my sun dance worked for yesterday but today the rain is being incredibly insistent!! 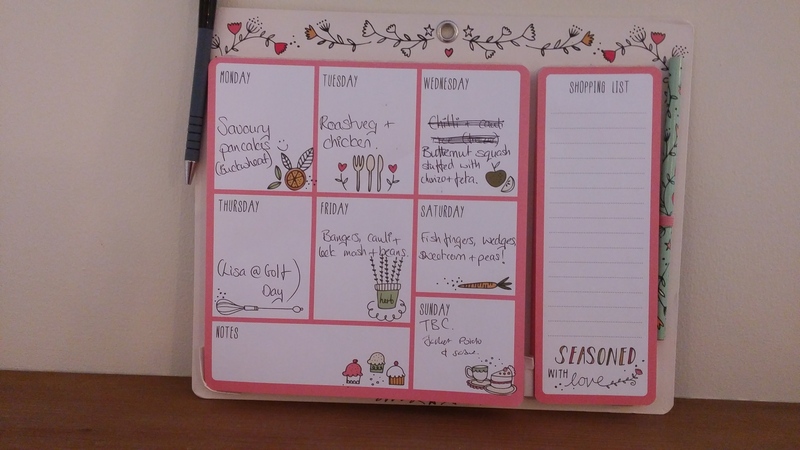 So I find myself being vaguely organised with the time to plan the weeks food ahead of time and write about it too! I’ve just made my first ever batch of buckwheat gallettes (pancakes) for lunch and despite having slight issues in getting the pour right on the first one I feel like I did quite well and might even manage to justify buying a little crepe machine at some point, eeek! Anyway, we’ll be using the remainder of the mix for tomorrows tea so I’m excited about that already!! If I can get good at it there might be a video of it in a couple of months! Thursday – Lisa @ Golf Day dinner, Anthony to feed himself! 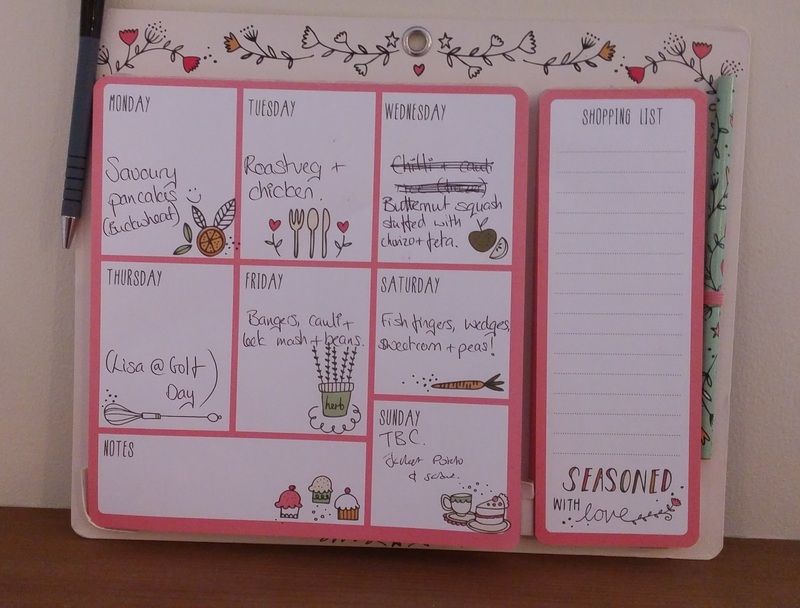 We used to sit and plan the weeks menu together but I’ve now taken to just getting on with it as otherwise my blog wouldn’t be coming out until Wednesday and I’d get all stressed! Funny how having control of something as small as knowing what I’m eating makes me feel a bit calmer and more in control. I’m going to sew some knickers now before making dinner, the first sewing I’ve done just for me in a while, more on that soon!